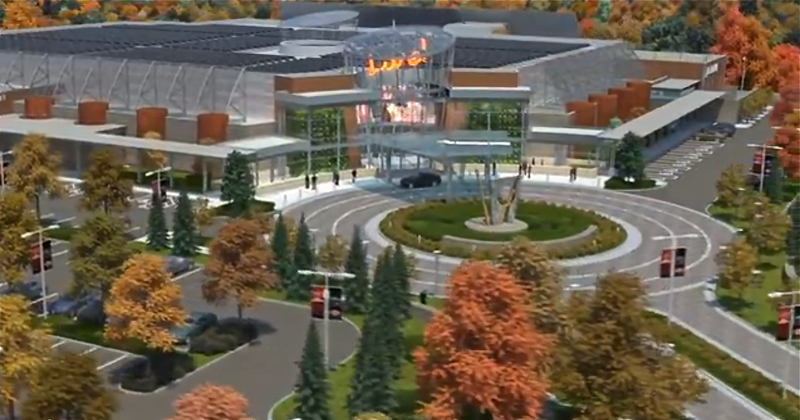 The Massachusetts Gaming Commission is hosting its last public hearing on the proposed Leominster casino this Thursday, January 23, starting at 5:30 p.m. at the Leominster City Hall. Click here for the official notice. The hearing is intended to solicit reaction and comment regarding the recently negotiated Surrounding Community Impact Agreements the developer has signed with Bolton and Fitchburg. The Commission in November had granted Bolton the status of Surrounding Community, saying that the casino would in its opinion have a “significant and adverse traffic impact” on the town. Click here to review the full agreement negotiated between Bolton and the casino developer. It appears that this will be the last opportunity for any public input regarding the proposed $200 million casino, to be located just off Route 117 near the intersection of Route 190 in Leominster. The Commission expects to decide by March which of three proposals —Leominster, Plainville, or Raynham—will receive the single slots casino license available in Massachusetts. In our opinion, the Selectmen and Town Administrator did a very commendable job on the town’s behalf in negotiating favorable terms for the impact agreement. However, no amount of money or studies will compensate the town or its residents for the negative impacts to quality of life we will suffer if this casino is built in Leominster. It is also our opinion that the more voices of concern the Gaming Commissioners hear about this casino, the greater is the possibility that the license will awarded to one of the other communities. Last chance to weigh in! This entry was posted in Casino, Events/Meetings, General, Traffic and tagged Bolton, Casino, Main Street. Bookmark the permalink.